The BioClaves are fully automatic and run all segments of the sterilization cycle (fill, sterilize, exhaust and dry) with the push of a button on the large digital display. 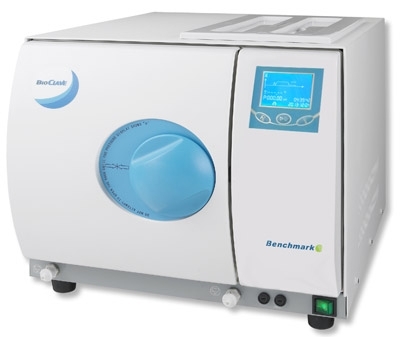 The 8-liter BioClave Mini is preprogrammed to meet basic sterilization needs with a fixed sterilization time and selectable temperature: either 121°C or 134°C. 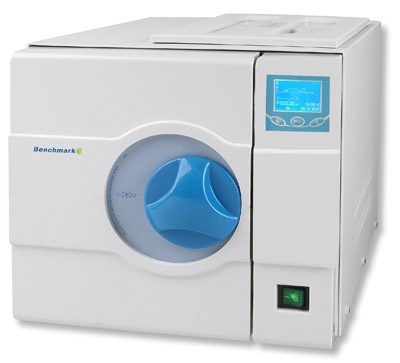 The BioClave Mini is ideal for benchtop sterilization in limited space. The BioClave 16 offers 16 cubic liters of chamber volume and fully adjustable sterilization and drying times. 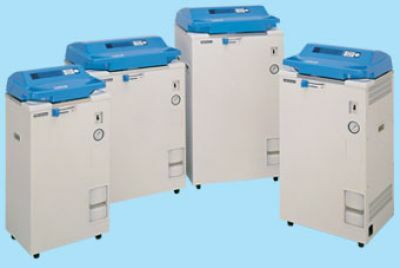 Three preset cycle options are available for the sterilization of liquids, wrapped instruments or unwrapped instruments/plasticware. A “Dry Only” option is available for additional drying time to be added to the end of a cycle. W x D x H in. (mm) 9 x 13.75 in. (229 x 349 mm) 6.7 x 12.5 in. W x D x H in. (mm) 6.5 x 10.75 in. (165 x 270 mm) 4.75 x 9.75 in. W x D x H in. (mm) 30 x 24 x 24 in. 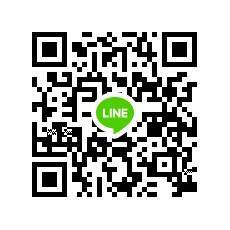 (762 x 610 x 610 mm) 30 x 20 x 20 in.